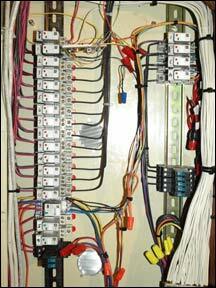 100 Amp Electric Sub Panel. These twelve 20 Amp breakers are dedicated just for Christmas Lights. 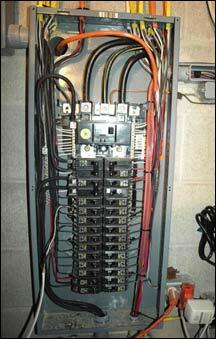 This is the main 200 Amp electric panel. 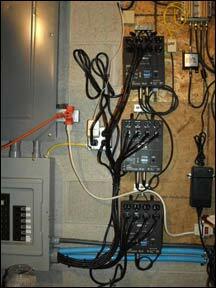 These three ED15 4 Channel DMX Dimmer Pack controls 4 driveway pillar lights, each pillar wreath, window candles, and gable and soffit flood lighting. 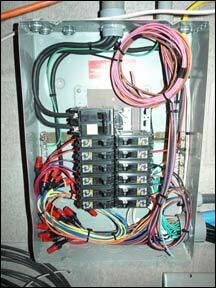 These relays control interior lighting, 12 volt landscape lighting, and out of season controls.